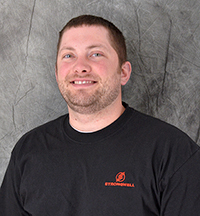 We are pleased to announce that Dustin Kimball has joined Strongwell in the position of Process Engineer. Dustin began his Strongwell journey on November 18, 2014 as an Engineering Intern. He is a recent graduate of Winona State University and holds a Bachelor of Science in Composite Materials Engineering. Dustin was born and raised in Minnesota and currently resides in Spring Valley with his wife, Lisa, and one year old daughter, Adelyn. In his newly acquired spare time he enjoys hunting, fishing, and spending time with family. Please join me us in welcoming Dustin to Strongwell.